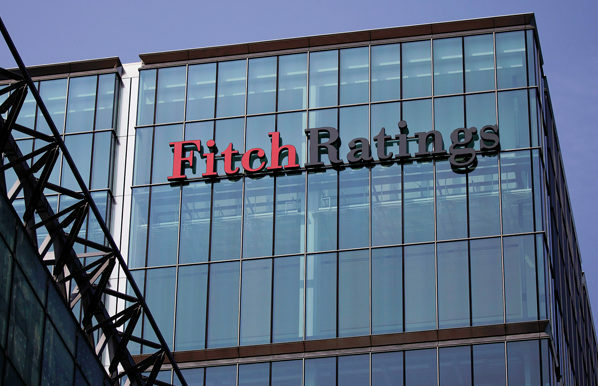 Fitch Ratings has upgraded Cyprus’ long-term debt in foreign currency by one notch to ‘BB’, one upgrade short of an investment-grade rating, it announced on Saturday. In a statement, the ratings house said the upgrade reflected a “strong improvement in the performance and outlook of its public finances” as the budget is on track to record a one per cent surplus of gross domestic product (GDP) in 2017. “The economic recovery has broadened and GDP growth has consistently outperformed forecasts over recent years,” the announcement said.Cyprus’ debt, it added, was expected to drop below 100 per cent by year-end, compared with 108 per cent at the end of 2016. The recovery, the ratings agency added, is “also reflected in the labour market”, where unemployment has dropped to 10.6 per cent in this year’s second quarter from a crisis peak of 16 per cent in 2014. But the mound of non-performing loans in the Cypriot economy (44.1 per cent of total loans, or €22.8 billion, in June) remains the biggest threat, with “the banking sector’s exceptionally weak asset quality” still a key weakness for Cyprus’ credit profile and “material downside risk to the recovery”. In addition, the agency said, even a possible faster pace of repayment of private debt would be likely to hurt household consumption in the short-term. Still, “the sovereign is gradually rebuilding its track record of market access”, Fitch said, as “it issued a seven-year bond in June 2017 at a 2.8 per cent yield”. “Current cash reserves exceed the sovereign’s total 2018 financing needs,” it added. Cyprus’ ratings are supported by high GDP per capita, a skilled labour force and strong governance indicators relative to “BB peers”, according to Fitch. The agency said it did not expect substantial progress with reunification talks between the Greek and Turkish Cypriots over the next quarters, even as “reunification would bring economic benefits to both sides in the long term but would entail short-term costs and uncertainties”. Neither, it added, did it consider “debt-reducing operations” by the government, such as future privatisations, and its projections did not include the impact of potential future gas reserves off the southern shores of Cyprus, “the benefits from which are several years into the future”.